Moringa’s success drivers are not just an opportunity to create significant wealth; but to ensure food, water, health and economic security among a vast community of rural poor; and drive transformative social and economic multipliers throughout the value chain. Moringa is a well understood, “indigenous” crop, requiring no special inputs. Vastly enhanced economic yield from a major asset, Land, currently desultory under the labour intensive, rain-dependent, soil-exhausting and low-yield maize-cultivation regime. At this time, maize yield is less than US $40 per acre/year. 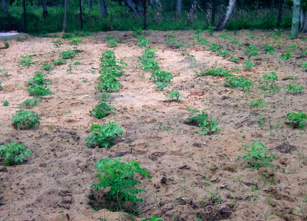 Moringa cultivation will raise that figure to over US $1,000 per acre/year. The Out-grower and Estate models provide direct, low demand employment for thousands of overlooked actors: women, retirees, handicapped and vulnerable groups, in addition to the able-bodied wage earners, from casual to skilled/skill-seekers. Model farms can be set up for Schools, Clinics, Women’s and Youth groups, people living with chronic but not disabling illness (e.g. HIV); each Moringa plant is a source of cash and nutrition, and a common-purpose to cement social ties and co-operation. Taxation alone will be a major revenue source for local government; but higher incomes will also reduce the demand on resources, as a wealthier populace of local people begin self-funding local solutions. A wealthier population is also a more politically measured one; poverty and unemployment, the root-causes of political volatility, have been credibly addressed. Revenue diversification counterbalancing volatility in political terrorism plagued areas is a major achievement. In every sense, Moringa is literally, a ”bomb-proof” plan.